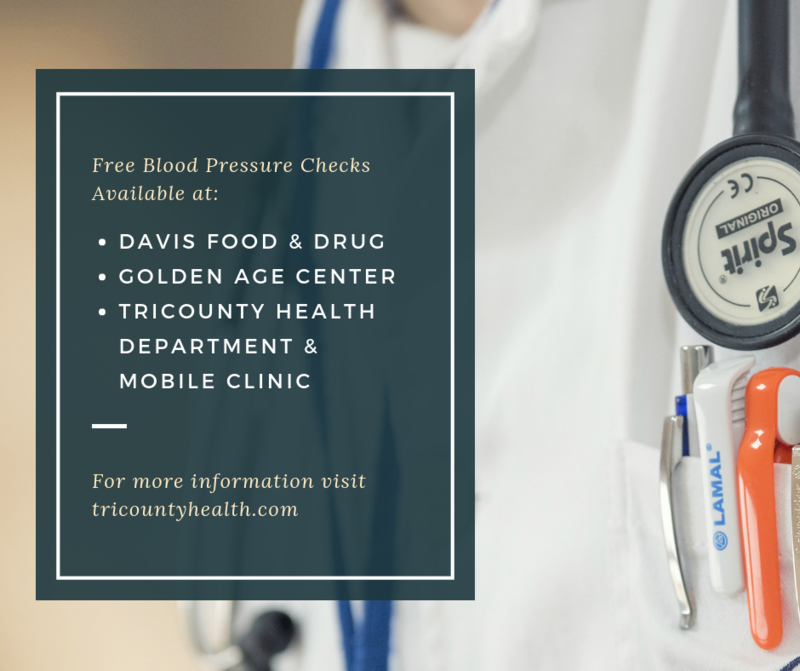 Davis Food & Drug, and the Golden Age Center have recently been working with TriCounty Health Department to offer free blood pressure checks to our community in an effort to keep people healthy. Free blood pressure checks are also being offered by TriCounty Health Department in our Roosevelt and Vernal offices as well as on the Mobile Clinic. Anyone can come in to any of these agencies for a free blood pressure screening or to be connected to resources like the nutrition program, diabetes prevention program, and tobacco cessation to prevent or manage chronic conditions such as hypertension and diabetes.